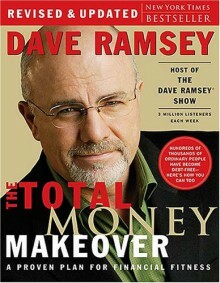 The success stories speak for themselves in this book from money maestro Dave Ramsey. Instead of promising the normal dose of quick fixes, Ramsey offers a bold, no-nonsense approach to money matters, providing not only the how-to but also a grounded and uplifting hope for getting out of debt and achieving total financial health. Ramsey debunks the many myths of money (exposing the dangers of cash advance, rent-to-own, debt consolidation) and attacks the illusions and downright deceptions of the American dream, which encourages nothing but overspending and massive amounts of debt. "Don't even consider keeping up with the Joneses," Ramsey declares in his typically candid style. "They're broke!" The Total Money Makeover isn't theory. It works every single time. It works because it is simple. It works because it gets to the heart of the money problems: you. Now to just do it.